Darjeeling Trinamul leaders today said the party's district conference would be held at Mirik on January 20. This would be the first time that the party would hold its district conference in the hills. "It has been decided that our Darjeeling district conference will be held at Mirik on January 20. Senior state leaders and ministers would be present at the event, along with district and local leaders and workers," Nantu Paul, a vice-president of Darjeeling district Trinamul, said. Ministers Gautam Deb and Arup Biswas and MP Abhishek Banerjee would attend the conference. Last week, state education minister and Trinamul's secretary general Partha Chatterjee had hinted that the party was planning to organise a programme in the district. A senior party leader in Siliguri said the state leadership was focusing on Mirik as it forms a considerable part of the Kurseong Assembly seat. "The state had said that Mirik will be a subdivision in Darjeeling district, the same day the announcement of forming Kalimpong district was made. We would focus on garnering support while highlighting the upgrade of both Mirik and Kalimpong," he said. 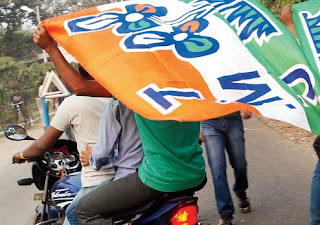 A Trinamul district leader said: "Mirik block is politically significant. First, Panighata, the tea estate, was the first place for the party to step into the region in 2012. Second, during the Left rule, when the GNLF had a hold in the hills, Mirik, which was under Siliguri Assembly segment then, always voted for the Left and not for GNLF." Trinamul leaders said that our Darjeeling district conference will be held at Mirik on January 20. Senior state leaders and ministers would be present at the event, along with district and local leaders and workers," Nantu Paul, a vice-president of Darjeeling district Trinamul, said.